Spectacular wide water views from this ground floor Club Bahia condo located on the island of Isla Del Sol. Entirely renovated! High end appliances, beautiful solid wood crÃ¨me cabinets and gorgeous granite counters. 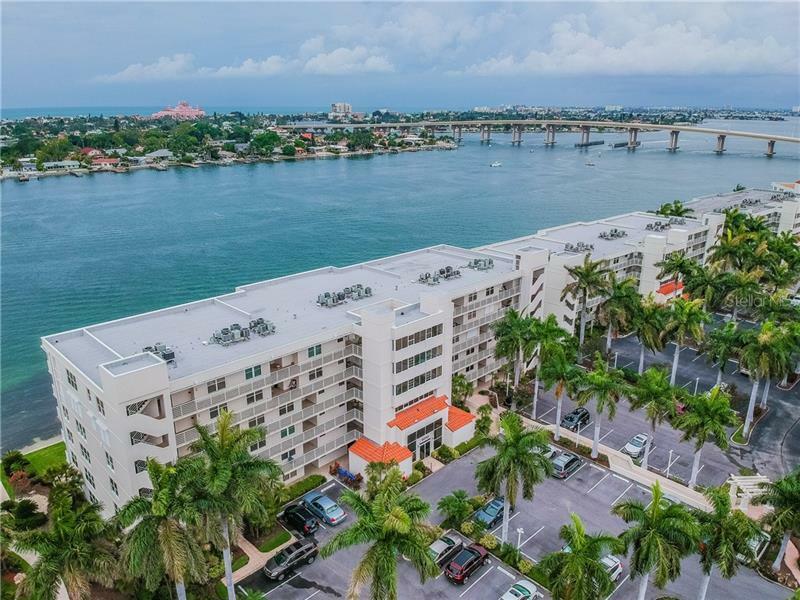 This unit also offers an open floor plan, new tile throughout, an eating space off kitchen, breakfast bar, laundry room with matching wood cabinets, plantation shutters, all new lighting and fixtures and a parking space just steps from the front door. The extended lanai is perfect for entertaining & enjoying beautiful Florida sunsets. The waterfront community of Club Bahia provides its residents a resort style heated swimming pool and Jacuzzi, fitness center, media center and recreation room. Isla Del Sol Yacht and Country Club offers a variety of membership options including social, tennis and golf (membership fees apply). Located just minutes to Gulf Beaches, Ft. Desoto Park, shopping, great restaurants and interstate 275. Additional Water Information: Water front feet is an estimate. Buyer's agent to confirm. Pet Restrictions: Pet weight is an estimate. Buyers agent to confirm "Max Pet Weight".